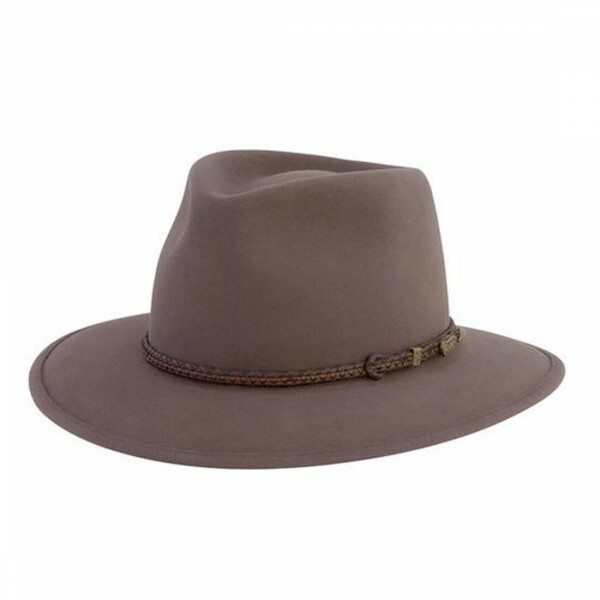 The ideal traveller's hat, featuring a soft, conforming structure and a unique 'memory' for those on the move. 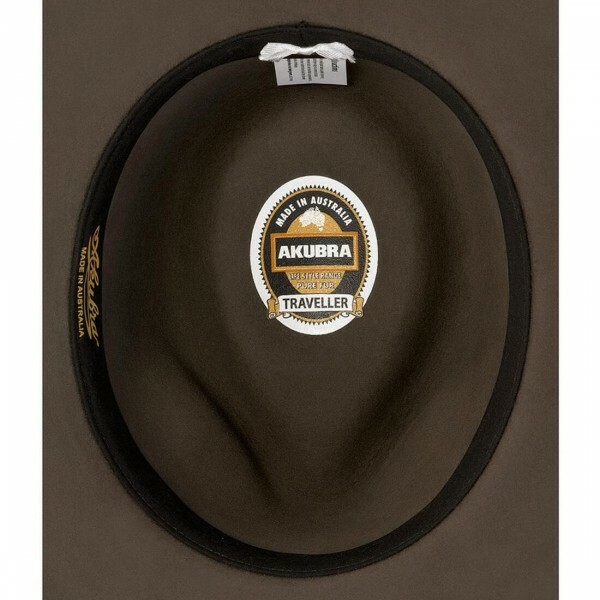 A softer pliable felt hat designed specifically for the adventurer among us. 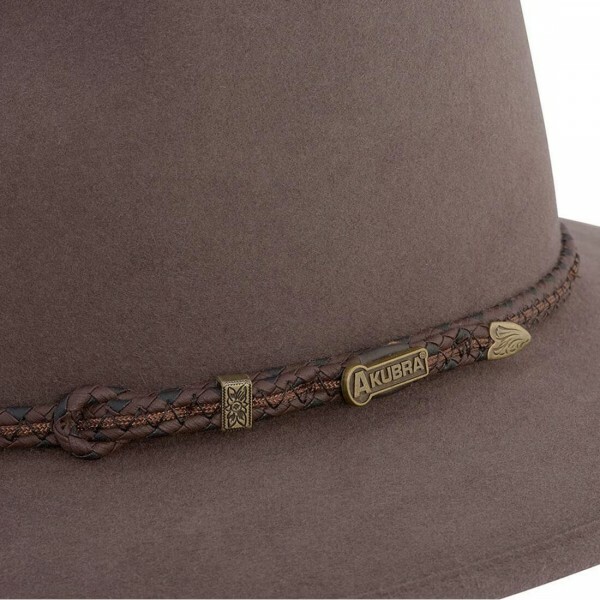 This hat has a unique memory which allows it to be manipulated back to shape if mistreated.Features a plaited bonded leather band and soft inner sweat band. This hat also features a buckram inside band. Sizes 62-63 'Made To Order' this takes 12 weeks. Pliofelt -- crushable pure fur felt. This doesn't mean you can put it in your suitcase, sit on it, then zip your suitcase closed and your hat will be ok. It means you can change its shape to put in overhead lockers and the like, and its shape will be retained.